Gueriera Roofing has been installing commercial and industrial singleply and modified bitumen (mod-bit) roofs in the Chester County area since 1959. We have established ourselves as a trusted commercial roofer by 1000s of customers by delivering the highest quality of service and installing the highest quality of material. 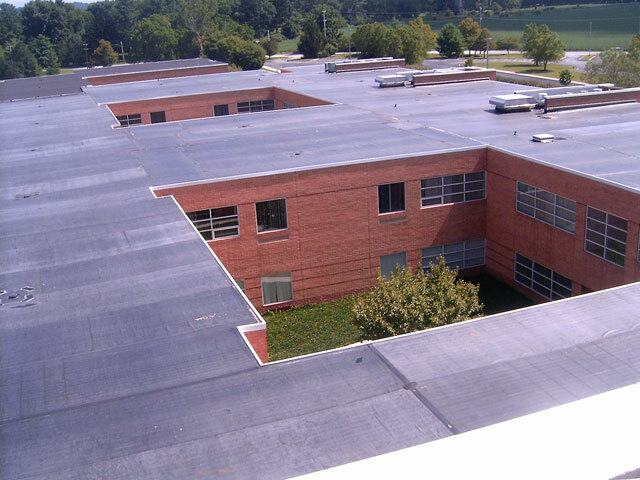 Thousands of commercial and industrial businesses and property owners in Chester County and the greater Philadelphia area have trusted their industrial and commercial roof installations to Gueriera Roofing Corp.
Gueriera Roofing Corp. can help you with your commercial or industrial single-ply and modified bitumen roofing system. Whether you have storm damage and are in need of repairs or you are need to have a complete installation, we will be glad to help with your commercial roofing system needs. If you are in Tri-state area and are looking for the right commercial roofer to trust the value and safety of your investment, Gueriera Roofing Corp. is the right choice. Happen to be you buying dependable, affordable roofer in Chester County? Gueriera Roofing has recently been providing high quality commericla, industiral and residential roofing work in the Chester County area since 1959. Whether you are looking to install a new metallic roof, need your roof repaired or maybe want a free estimate, Gueriera Roofing can help you! We are fully certified and covered by insurance roofers with a proven record of high quality service and competitive prices. If you are looking for professional or commercial epdm flat roof structure repair in Chester Region, Gueriera Roofing is the only choice for full-service, low cost roof repair. With our fully accredited and professionally certified roofer experts, we can repair or replace any commercial roof. Contact us today to get your free estimate and see why Gueriera Roofing is the only option for commercial roofing repair in the Chester County Region. EPDM RUBBER is a high grade rubber roofing most commonly used in commercial and professional roofing. EPDM can withstand extreme weather and temperature changes, and can expand and contract without compromising the waterproofing system. By fastening the tissue layer to the roof with adhesive, we can completely seal your roof. If you are looking for professional or commercial epdm flat roof repair in Chester Region, Gueriera Roofing is the only choice for full-service, low cost roof repair. With our fully accredited and professionally certified roofing experts, we can repair or replace any commercial roof. Contact us today towards your free estimate and see why Gueriera Roofing is the only option for commercial roofing repair in the Chester County Region. EPDM is a high quality rubber roofing most commonly used in commercial and commercial roofing. EPDM can withstand extreme weather and temperature changes, and can expand and contract without compromising the waterproofing system. By fastening the membrane to the roof with adhesive, we can completely seal your roof. Will be you buying dependable, affordable roofer in Chester County? Gueriera Roofing has been providing high quality commericla, industiral and residential roofing work in the Chester County area since late 1950s. Whether you are looking to install a new steel roof, need your roof repaired or simply require a free estimate, Gueriera Roofing can help you! We are fully certified and covered by insurance roofers with a proven record of high quality service and competitive prices. 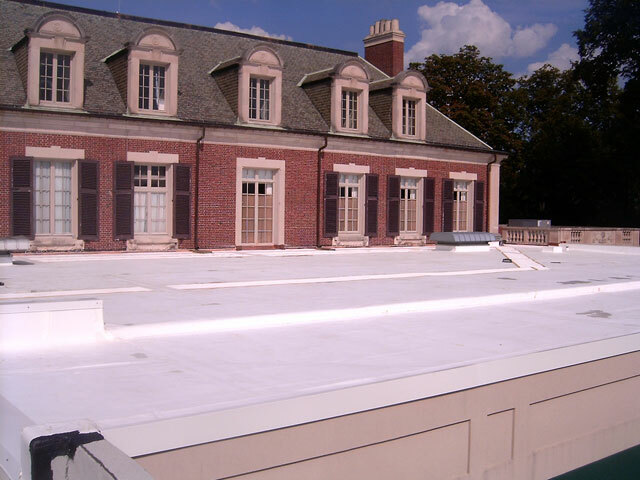 If you are looking for commercial or commercial epdm flat roof structure repair in Chester State, Gueriera Roofing is the only choice for full-service, low cost roof repair. With our fully qualified and professionally certified roofer experts, we can repair or replace any commercial roof. Contact us today to get your free estimate and see why Gueriera Roofing is the only option for commercial roofing repair in the Chester County Location. Happen to be you buying a dependable, affordable roofer in Chester Region? Gueriera Roofing has recently been providing high quality commericla, industiral and residential roofing work in the Chester County area since late 1950s. Whether you are looking to use a new metallic roof, need your roof structure repaired or maybe require a free estimate, Gueriera Roofing can help you! We are fully accredited and covered roofers with a proven record of high quality service and competitive prices.